What is the difference between organic wine and conventional wine? Gavi is one of the best Italian white wine produced in Piedmont. Gavi is named after the comune located at the center of its production area. Cortese is the local grape known for over 400 years and it is exclusively used to make Gavi. Gavi is a dry white wine with a fresh and sharp acidity. Frizzante and spumante are also produced with Cortese. Gavi gained DOCG status in 1998. Ripasso method is a technique where Valpolicella wine is "re-passed" on the dried grape skins of Amarone, while still warm and rich in sugar. The Valpolicella remains in contact with the pomace of Amarone for about two weeks, during which period a second alcoholic fermentation occurs. Ripasso method gives Valpolicella wine a better structure and a lower acidity, hence the wine beomes more rounded and suitable for aging in barrels for as long as 18 months. Amarone is a full bodied red wine produced with semi-dried grapes in a region called Valporicella in Verona,Italy. The grapes, mainly Corvina, Rondinella, and Molinara, are allowed to dry on bamboo racks or straw mats for a few weeks up to several months in a process called "Appassimento" to get sugars concentrate and to produce raisiny flavors. Following the drying process that is completed in three to four months, the grapes are crushed and go through a dry and low temperature fermentation process that may continue up to 30 or 50 days. The reduced water content can slow down the fermentation process, increasing the risk of spoilage and potential wine faults such as high volatile acidity. After fermentation, Amarone undergoes a period of a natural aging in wood which may be in oak barriques, resulting in full bodied, ripe, with delightful bitterness("amaro" in Italy), rich in flavor, and alcoholic characteristics. Lambrusco is a group of grape varieties that is cultivated in the province of Emilia Romagna in northern Italy, and also refers to sparkling wine with dark ruby color made from the grapes. It is light(alcohol content 11%), sparkling, and has complex aromas of cherries and wild strawberries. Lambrusco pairs well with grilled meat or light lunches. Vinho Verde generally refers to a white wine with a pale yellow color in Minho region with fertile and rich granite soils along rivers that flow from the mountains of the east to the Atlantic Ocean in the northern part of Portugal. Vinho Verde is the largest DOC of Portugal. Alvarinho or Loureiro are harvested about a week before the grapes get ripe, resulting in a fresh acidic wine with low alcohol content. Flavour depends on the grape varieties used - floral for Loureiro and the fine, mineral, subtly fragrant for Alvarinho. Other types of Vinho Verde are Spumante, and red sparkling wine called Vinhao made from the same name. Vinho Verde is the largest DOC of Portugal, up in the cool, rainy, verdant north west. The vines grow in fertile, granite soils along rivers that flow from the mountains of the east to flow into the ocean between surfing beaches. 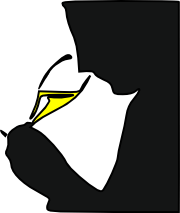 The wine is still distinguished by its high acidity. Flavour depends on the grape varieties used - floral Loureiro, steely Trajadura, mineral Arinto (known here as Pedernã), creamy and mineral Avesso, and the fine, mineral, subtly fragrant Alvarinho. Port is a sweet fortified wine made in the region of Douro Valley in northern Portugal. They are made by mixing Portuguese indigenous grapes, including Touriga Nacional, Touriga Franca, Tinta Roriz, Tinta Barroca. When the alcohol level reaches around 7% in fermentation, brandy is added stop fermentation. The residual sugar level is kept considerably higher than most still wines. The wine packed in a barrel in the Alto Douro area is carried over to the town of Villa Nova de Gaia in the estuary of the Douro River, where it is stored and aged in large casks for 18 months or longer. The finished wine may be transferred to bottles or stay in casks depending on the style. The name "Port" is derived from the city of Porto located at the mouth of the Douro River, where ships loaded with Port set sail to England. What is Sherry and Sherry type? Sherry(Xeres in Spanish）is a fortified wine, produced in the province of Andalucia. Contrary to widely held perceptions,the majority of sherry is dry. 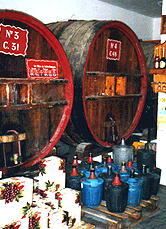 Under Spanish law, "Sherry" must legally come from the Sherry Triangle, an area in the province of Cádiz between Jerez de la Frontera, Sanlúcar de Barrameda, and El Puerto de Santa María. Wines which are produced in the area of Montilla-Moriles or Málaga to the west of Sherry Triangle with the same method are called Sherry Type. The soil in this region is called albariza, rich in chalk, limestone, and sand. This provides the perfect conditions for growing three grapes Palomino, Pedro Ximénez and Moscatel, used for making sherry wine. A layer of yeast produced on the surface of the wine is called "Flor", and this provides specific taste to sherry. Sherry is produced in a unique and complex maturation system with repeated fractional blending called Solera first developed in Sanlucar de Barrameda. Barrels in solera are arranged in multiple tiers. Each tier contains the wine of the same age. The oldest tier at the bottom(confusingly called solera as well) contains the sherry which is ready to be bottled. When a fraction of the sherry is extracted from the solera it will be replaced with the same amount of the sherry in the tier immediately above called first criadera, which is slightly younger. This, in turn, will be filled up with wine from the second criadera and so on. The last criadera called sobretablas containing the youngest wine is filled up with new wine. This process of blending and aging may sometimes practiced several times a year and sherry must be aged 3 years before being sold by law, but most are aged longer resulting in complex taste and consistency. 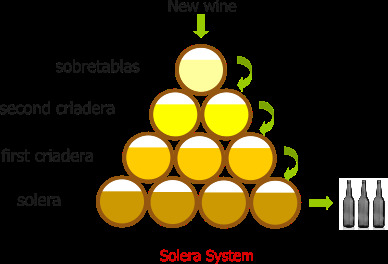 Although solera system is often represented by the figure here, barrels may be stacked in blocks rather than rows in manufacturers with larger scale. Although it is a common practice to fortify sherry type with spirits during fermentation, the wines produced in Montilla-Moriles with Pedro Ximénez reaches high alcohol levels due to the high sugar content of the grape. Sulfites are a preservative to wine. Although there seem no historical proof that the ancient Greeks and Romans used sulfur as a wine preservative as it is widely discussed, sulfur has been used over 600 years by wine producers to prevent the wine from turning to vinegar and to stop bacteria and other yeasts from growing. The level of added sulfite allowed for wine is low in general, and the Japanese Food Sanitation Act set the level to 350ppm. However, in response to claim that sulfite causes headache, asthema or itching to some people, some wine producers make great effort to reduce the level of sulfite in wine even lower while maintaining the quality of their wines. The EC regulation 606/2009 has taken effect since 2012, and regulates the maximum level of sulfite in organic wine to 100ppm for red and sparkling wine and 150ppm for white wine and roses. Some organic wine producers have taken a step further and NOT TO ADD sulphite at all. They are conventionally called sulfite(or SO2) free wine. We take utmost care to keep these wines intact. In biodynamic farming, no chemical fertilizers or pesticides are ever used. Instead, the earth is renewed by sowing vegetarian mulch which enriches the nutritional content. Rather than pesticides, key herbs are planted which are attractive to “good” insects, which take care of the “bad” insects naturally. But this is only the beginning. Following detailed work calendars organized at the beginning of each year from the biodynamic advising boards around the world, certain tasks are assigned to certain days. As the moon waxes (moves toward the full-moon phase) the sap rises. This is then the prescribed period for harvesting crops. As the moon wanes (moving from full moon to half) the sap falls, which is then the time for fertilization, trimming, etc. Rudolf Steiner is the originator of this approach. He taught that growth was influenced by a flow of energy radiating from the moon, stars and planets. Since sulfite is a natural byproduct of fermentation, there is no such things as sulfite free wine. Sulfites are a known preservative to wine for hundreds of years to stop bacteria and other yeasts from growing and reduces oxidation of the wine. In order to eliminate some concerns about sulfite related allergy or sickness, some wine producers have been challenging NOT TO ADD sulfite. Some of the basic practice are to clean the tanks and devices thoroughly, to fill inert gases to provide a buffer between these organisms and oxygen, and to minimize exposure to ambient before bottling. When you have purchased no added sulfite wine, you are advised to keep it in darkness at controlled temperatures and NOT to leave it for excessively long period. Natural wines, also called raw wine or living wine, are wines which are produced with minimal intervention. Both in growing vines and processing them into wine. Natural Wine is farmed organically or biodynamically and no or very small amount of sulfite may be added, and also neither fining nor (tight) filtration is used. The result is a living wine with distinctive taste, wholesome and rich in naturally occurring microbiology. However there is no legislation bodies or consensus around its exact definition as of writing. This name is therefore not certified yet. Each wine producer has different ways to create their natural wine and there are several "Grower associations" you can find such as: Vinnatur, AVN, Vins S.A.I.N.S. , Terra Hungarica. "Orange Wine" is NOT made with oranges, but it is named after the color of the wine, where white grapes are processed together with the skins and seeds(skin contact) for weeks or months.This method is nothing new and archaeological findings indicate this wine making method could have been carried out several thousand years ago in the Middle East in the area including Georgia and Egypt. However it is only the last 20 years or so that the orange wine process is in the limelight, this time in northeastern Italy and neighbouring Slovenia. It is a common practice to use wild yeast and minimum amount of sulfite. The tannins, lignin in particular, extracted from the skin and seeds add orange color and characteristic aroma of tropical fruits, hazelnuts, juniper and spicy taste to the wine, which make "Orange Wine" special. Orange wines taste best around 10 degrees, which is slightly warmer than for typical white wine. Orange wines are bold and complex and they can pair well with curry and spicy food as well as wide vaiety of meats including beef and fish. The number of Vegans has increased the last few years; and although this lifestyle is becoming more and more common, those who are committed to it are faced with many challenges, of which wine is not exempt. Organic wine is not necessarily vegan. Indeed, many of the substances that may be used as fining agents are derived from animals, for example, casein (milk protein), chitin (fiber from crustacean shells), egg albumins (derived from egg whites), fish oil, gelatin (protein from boiling animal parts), and isinglass (gelatin from fish bladder membranes). There are alternatives. Some wine producers are turning to agents such as kaolin(clay) , bentonite(clay), and limestone in order to filter their wine. These wine are called vegan wine and indicated by the the logo of The Vegan Society on the label. The Ideal temperature for wine storage is a constant ambient temperature around 10-16°C, but higher temperature may be tolerated as long as the fluctuation is kept to a minimum. If a cellar is not available, find a dark cupboard or closet with ventilation and a constant temperature. Wine is spoiled by long-term exposure to direct sunlight or daylight. Constant agitation or vibration can cause wine to age prematurely. Keep wine away from the vibrations. Wine should be stored on its side to keep the cork moist and tight against the bottle neck to prevent the cork from drying out in a long run and shrinking, and allowing oxygen to get into the bottle and damage the wine. Wine bottles with screw tops or plastic cork need not be stored on their sides. Franciacorta is a sparkling wine from Brescia in Lombardy,northern Italy with DOCG status produced from grapes grown within the boundaries of the territory of Franciacorta. Grape varieties that can be used to make this Italian sparkling wine are the classic ‘Champagne varieties’ of Chardonnay and Pinot Noir, plus also Pinot Blanc. Franciacorta is also produced using the ‘traditional method’ – same as in Champagne – with a second fermentation taking place in the bottle. The emergence of cork alternatives has grown in response to quality control efforts by winemakers to protect against "cork taint" caused by the presence of the chemical, trichloroanisole (TCA), in the cork. Synthetic corks are made from plastic compounds designed to look and "pop" like natural cork, but without the risk of TCA contamination. The disadvantages of some synthetic corks is a risk of harmful air entering a bottle sooner than natural cork. Also many of the synthetic corks are made from material that is not biodegradable. Screw caps are closures made from aluminium material plus a layer of plastic, cork, rubber, or other soft material used as wad to make a seal with the mouth of the bottle. Despite the screwcap's public image, something for cheap wines, screw caps reduce the wine faults of oxidation and of cork taint generally and are perceived as easier to open and have a much lower failure rate than cork. Polyphenols are a group of diverse chemicals having large multiple phenol structural units and are present in many vegetables and plants. The numbers and characteristics of these phenol structures define wide variety of their chemical and biological properties, including antioxidant and anti-inflammatory effects. Polyphenols may be classified to two groups, flavonoids and non-flavonoids, depending on their structural characteristic. Approximately 90% of polyphenols in red wine are flavonoids. Anthocyanins, Catechin, Tannins are some of the well known molecules. Hundreds of polyphenols that can be present in wine derive mostly from grape seeds and skin and this is the reason why red wine is rich in polyphenol. Multiple polyphenols may be conjugated to form large molecules, which helps to reduce astringency and increase round taste. Antocyanin, a source of red color, turns dark red or brown as oxidized, whereas the red color holds when the molecule is conjugated with tannins. Tannin is a group of diverse set of molecules that can affect the color, aging ability and texture of the wine. They provide sense of stringency in the mouth owing partly to the tendency of tannin to react with proteins. The reaction of tannins and anthocyanins with catechins creates another class of tannins known as pigmented tannins that influence the color of red wine. Resveratrol produced by grape vines provides defense against microbes. The French Paradox involving the health of wine drinkers in France lead to extensive studies and the discovery of beneficial effects including anti-oxidant, anti-inflammatory and anti-carcinogenic properties. A ripe grape has sugars and wild yeasts living on its skin. As soon as the skin of the grape is broken, fermentation gets started. Fermentation is the process where sugar is converted to alcohol by yeast and the process will continue until all the sugar has been turned into alcohol or the level of alcohol in the juice reaches around fifteen percent, whichever is sooner. 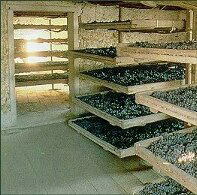 At around fifteen percent alcohol, the yeasts will die naturally and any left over sugars will remain in the wine. Although the most common yeast generally participating in wine making process is Saccharomyces cerevisiae, other genera of yeast can be involved either positively or negatively. Kloeckera, Candida, and Pichia work in relatively low alcohol environment. 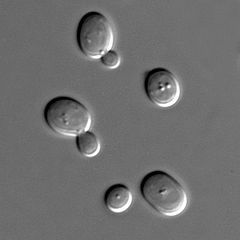 They, in addition to Saccharomyces cerevisiae that is resident to wineries, also form a group called "wild yeast" as opposed to inoculated or cultured yeast. Beyond the alcohol level over four to six percent Saccahromyces cerevisiae is the only species that survives and fermentation continues until it reaches around fifteen percent alcohol. When all of the sugars have been consumed by yeast dry wine is produced. If the fementation is stopped by chilling the must or addition of sulfite the resulting wine is low in alcohol and sweet. While alcohol is the primary product in fermentation, there are a number of other products that infulence the wine, including glycerol, fusel oils, sccinic acid, various esters. Malolactic fermentation tends to create a rounder, fuller mouthfeel. Malic acid is typically associated with the taste of green apples, while lactic acid is richer and more buttery tasting. In addition to malolactic acid , the main product, lactic acid, diacetyl(or 2,3-butanedione), acetic acid, acetoin, and various lactic acid esters provide aromatic flavor and add “body” to wine. To name a few, a group of esters provides fruity flavors, including bananas, apples, and white flowers. Beta-ionone provides violoet flavor noted in riesling, and beta-damascenone is the source of rose like flavor often found in chardonnay. Terpens are rich source of flavors ,including linalool which is the source of muscat flavor often associated with Gewuerztraminer, and geraniol imparts a rose-like flavor note. Vanila like flavor produced in aging in oak barrels is vanillin. Oaklactone alone gives coconuts flavor, however this is a major source of oak flavor in wine. Some guaiacols and phenols can contribute bacon, clove or smoky aromas. 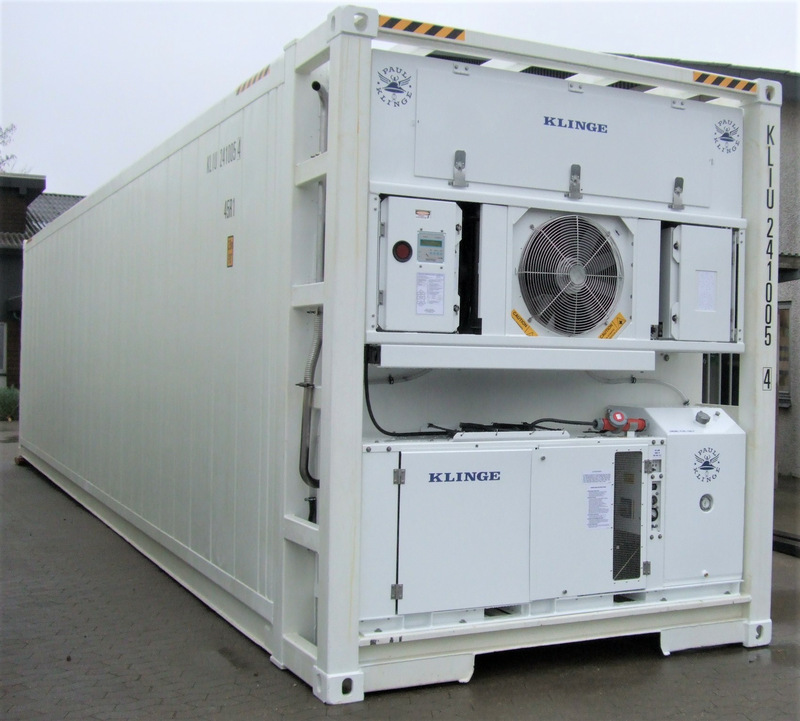 "REEFER”refers to the transportation of wines from wineries to customers in refrigerated shipping containers, known as "reefer" containers, which keep the wine at a constant temperature around 15°C throughout the entire journey on land and across oceans. We choose REEFER to prevent our organic wines from heat damage and to maintain the genuine taste. Mulled wine or "Glühwein" in German or "Vin Chaud" in French is a type of wine cocktail that is served warm and with added spices. 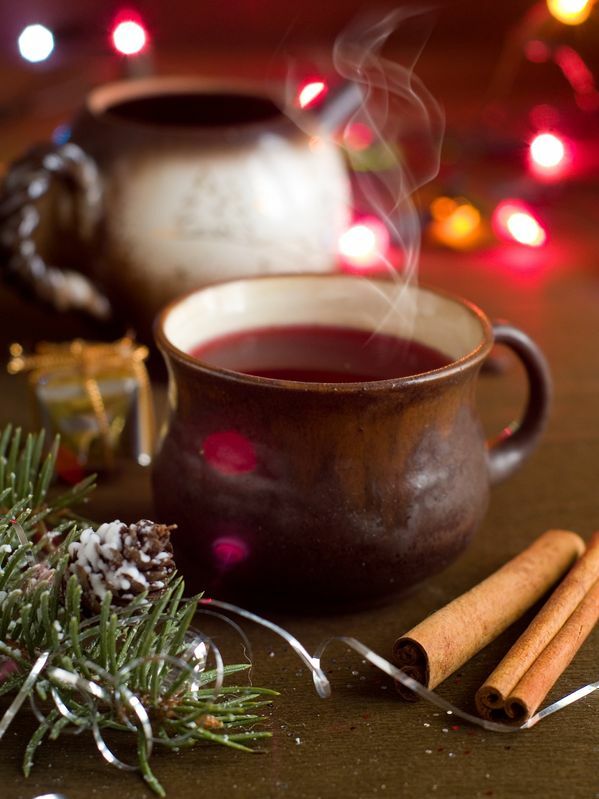 To make mulled wine, combine red wine, sugar or syrup and spices such as orange peel, cinnamon, and clove(and brandy, anise or whatever, depending on your taste....) and bring it to simmer. Reduce heat to medium-low, and let the wine simmer for 15 minutes or longer. Strain and serve warm with your desired garnishes. It is a traditional drink to be enjoyed during winter.